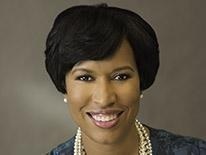 (Washington, DC) – (RealEstateRama) — Mayor Muriel Bowser announced the sale of 33 District-owned vacant properties that will be transformed into affordable workforce housing. The properties were sold in an auction as part of Vacant to Vibrant DC – a program announced December 2017 to turn the balance of inventory in the Property Acquisition and Disposition Division (PADD) of the Department of Housing and Community Development (DHCD) into vibrant and productive solutions. During the five-day auction held by Alex Cooper Auctioneers in January, all 33 sites received bids in neighborhoods including Bellevue (Ward 8), Carver/Langston (Ward 5), Deanwood (Ward 7), and Park View (Ward 1). 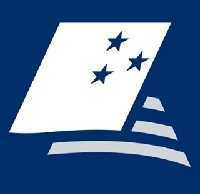 The winning bids range from $75,000 to $940,000 and can be viewed here on DHCD’s website. Upon completion, the properties will be sold to households earning no more than $132,350 for a family of four (120 percent of the Median Family Income). The bidders fulfilled several administrative steps in the weeks after the auction ended January 23 and next steps include public hearings on April 4 and April 5, DC Council review, and design review of the bidders’ affordable housing development plans. “DHCD is moving quickly toward the goal of closing on all properties by the summer of 2018, so that new workforce housing is available for residents by the middle of next year,” said DHCD Director Polly Donaldson. Action 2—Supporting Small Business to Spur Homeownership for District Employees, under which Certified Business Enterprises (CBEs) are bidding to renovate sites into workforce housing. Phase 1 of the CBE solicitation recently closed with eight responses received to renovate three sites into workforce housing, an award announcement will be made, and another solicitation released, this month. Action 3—Building Homes Through HIP, where the DC Housing Financing Agency (DCHFA)’s Housing Investment Platform (HIP) solicited partners to build workforce housing on two sites in Anacostia (Ward 8) and Rosedale (Ward 6). HIP closed its request for qualifications (RFQ) in early January and announced H2 Design Build and H.E.P Construction as the final developer partners. Action 4—Expanding Green Space: a partnership with Casey Trees to expand and preserve green space in Ward 8, will launch this spring. Action 5—Seeing a Tiny House in Action, a demonstration project in partnership with the DC Students Construction Trades Foundation, also will launch this spring. Since coming into office, the Bowser Administration has sparked the creation or preservation of more than 10,500 affordable units, with another 2,800 units in preconstruction. Mayor Bowser has made unprecedented investments in affordable housing using a tool known as the Housing Production Trust Fund (HPTF), a special revenue fund that provides gap financing for projects affordable to low and moderate income households. The District’s multi-pronged approach to housing production and preservation, homeownership, and development of vacant properties is winning national recognition. On September 11, the District was selected for the Urban Land Institute’s Larson Housing Policy Leadership Award. This annual award, provided by ULI’s Terwilliger Center for Housing, recognizes innovative ways the public sector is addressing the nation’s affordable housing crisis.